Since today in the old Latin Rite liturgical calendar, is the feast of the Espousal of The Blessed Virgin Mary to St. Joseph (read my article from last year), I thought I would write “Mondays with Mary” on a Tuesday and provide you 10 quotes about Marriage from the great Polish 20th century Pope, St. John Paul II. Along with religious freedom and human dignity, the Holy Father wrote quite a bit on marital relations between a man and a woman, just as God intended it. Today, I draw from three sources, but there are also other writings as well. Most notably is the principal work known as the Theology of the Body as well as the book he wrote before he was Pope, Love and Responsibility. If you have not read this book, I would encourage you to pick it up, however, it is rather philosophical and theological in nature. For another option, I would encourage you read – Men, Women, and the Mystery of Love by Dr. Edward Sri. 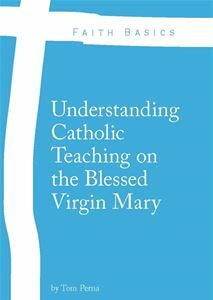 It is based on Love and Responsibility, but a little easier to understand, especially if you have never formally studied theology. Although I have read both, I am going to read them again in the upcoming months as I prepare for my own nuptials to my fiancée. 4. “When, in union with the Apostle, we bow our knees before the Father from whom all fatherhood and motherhood is named (cf. Eph3:14-15), we come to realize that parenthood is the event whereby the family, already constituted by the conjugal covenant of marriage, is brought about “in the full and specific sense”. Motherhood necessarily implies fatherhood, and in turn, fatherhood necessarily implies motherhood. This is the result of the duality bestowed by the Creator upon human beings ‘from the beginning’.” [This is something our modern culture is sorely lacking and needs to understand]. Let us pray for the many holy and faithful Catholic marriages that are producing great fruit in the Church. Let us pray for those who may be struggling in their marriages – may Our Lady and St. Joseph intercede on behalf of their trials. Let us pray for those Catholics that are not married in the Church – those who are unaware that their marriages are not valid – pray that they, through the intercession of Our Lady and St. Joseph will come to be in full communion again and Convalidate their secular marriage. Let us pray for those couples preparing to enter the Sacrament of Matrimony in the days and month ahead. Please pray for Megan and I as we do our preparations for Holy Matrimony. Please take me off your list. Thank you.